Estate settlement and administration is the phase of the probate process where you collect all the assets and organize and pay all the debts and taxes. Believe me, it sounds a lot easier than it really is. Just imagine dealing with all these banks, insurance companies and pension funds. It’s pretty hard as is, yes? 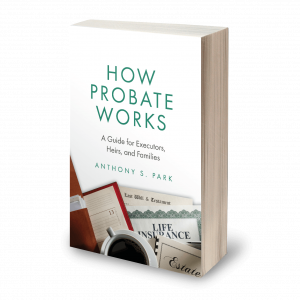 Well, when you’re dealing with a decedent’s estate, it actually gets much harder because none of the customer service personnel are trained, properly at least, on how to deal with decedents’ estates. And when dealing with creditors, unfortunately many creditors and collection agencies try their best to squeeze every last dollar out of a decedent’s account, including penalties, interest, and sometimes just made up charges. If that sounds like something you’d like to avoid, you should consider us as your professional executor.